“IEA Bioenergy aims at supporting a development where bioenergy contributes substantially in the future global renewable energy mix. Several working groups ( ́Tasks ́) under IEA Bioenergy have been established to help achieve this overall goal of IEA Bioenergy by providing a scientific basis for such development. 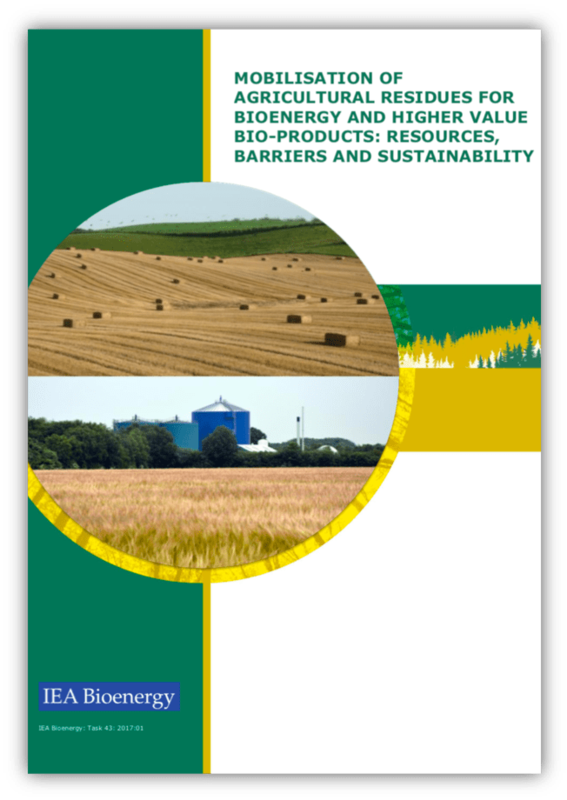 Each Task addresses different links in or aspects of the bioenergy supply chain. When addressing questions related to technical feasibility, economic profitability and social and environmental sustainability, it is important to address these issues along the whole supply chain. An inter-Task project has been commissioned by IEA Bioenergy to facilitate collaboration among experts from multiple disciplines represented in the various Tasks in order to facilitate further mobilization of sustainable bioenergy supply chains in different operational environments. The project should also inform the debate around bioenergy feedstocks and end-uses, and make suggestions to improve governance of biomass supply chains.